WhatsApp finally has launched an update throughout the Android devices running Android 4.1+ to enjoy the free video calling feature. After the purchase of WhatsApp, Facebook has been working hard to improve its features to be on top of the chatting app. They launched audio calls first and now the long awaited feature is launched. Now the video calling rival Skype will be facing serious competition in the field of Audio/Video Calling. I wonder Google will be working on something similar as they launched Google Allo, Google Duo and Google Messenger, but all these functions are available in WhatsApp now except stickers. But unfortunately due to some telecom restrictions, Gulf countries (including UAE, Saudi Arabia) users cannot access the Audio Calls or even now the Video Calls. But the rest of the world will be enjoying the WhatsApp Video Calls especially USA, Canada, India, Pakistan etc. 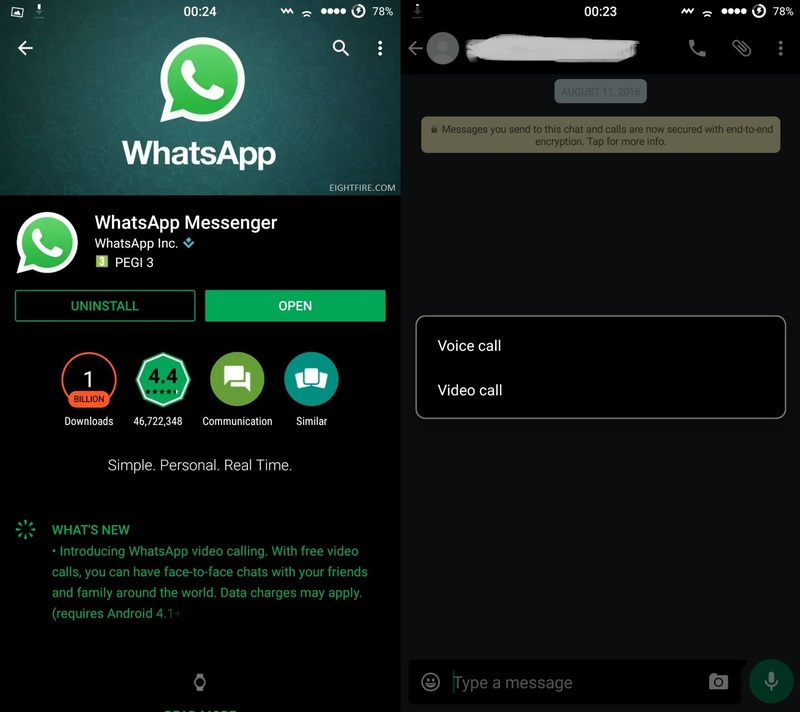 According to the WhatsApp blog, WhatsApp Video calls will be available across Android, iOS and Windows phones.